If you’re new to CBD lotion, then don’t panic! CBD lotions are just another way people all around the world are experiencing the benefits of CBD. We’ll walk you through how to use CBD lotion, and explain a little more about how CBD lotion works. 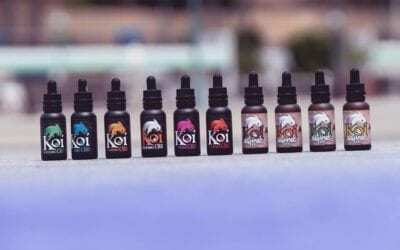 If you’re intimidated by taking CBD oil, or vaping CBD vape juice, then CBD lotions can be an easy and effective way to experience the benefits of CBD lotion. The first thing you want to do is start with a high-quality, premium CBD lotion. A good CBD lotion should be 100% THC free and made with a full spectrum CBD solution. This is to ensure you enjoy all the benefits of the CBD, without worrying about THC. Before you even open the CBD lotion container, think carefully about where you’re going to be applying the lotion. If you have a headache or pain, is it because of pain in the neck or lower back? Try to apply the CBD lotion to the area causing the problem. As we age, back, neck, and joint pain becomes more of a problem. Try to isolate the area which is giving you the most trouble or causing you the most pain. This isn’t a must, but many people recommend that you should give the area you plan on applying CBD lotion too a quick clean. You don’t need to scrub yourself raw, just a quick wash to remove any excess grit and grime, and dry. It’s always better to start applying the lotion to an area which is already clean. Make sure that your clothes aren’t going to get in the way of applying the lotion and you can reach all the areas you’re trying to effect. Now you’re ready to apply the CBD lotion. Don’t be scared to apply a liberal amount of CBD lotion. It’s not uncommon for people to apply CBD lotion to areas more than once or twice. If you find that one application didn’t have the desired effect, wait a little while for the CBD lotion to absorb and then give the affected area another application. Apply the CBD lotion, rub it into the affected area, then reapply if you feel like you need it. Don’t rub so vigorously that you inflame the affected area, just firmly enough to rub the CBD lotion in. After you have finished applying the CBD lotion, clean your hands. The last thing you want is to rub CBD lotion over everything or into food while you’re cooking. It’s important to remember that CBD lotion, while great, isn’t going to instantly cure a lifetime of aches and pains. If you have any questions about any of the CBD lotions which we stock, don’t hesitate to contact our friendly and professional team. They are more than happy to help answer your questions about our premium range of high-quality CBD lotions.